Following proposals for new legislation regarding unaccompanied learner drivers, Niamh Dunne debates the impacts. 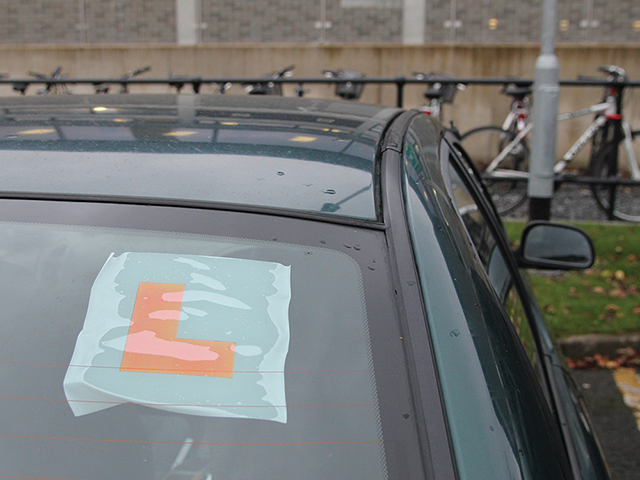 Over the past week, new legislation has been brought before the Dáil regarding learner drivers. The new legislation, called the Road Traffic Amendment Bill, states that an unaccompanied learner driver will have the vehicle seized. The driver of that vehicle will then have a fine of €2,000 and a possible jail time of up to six months. The new legislation has sparked a huge debate across the country and left many learner drivers appalled at Minister for Transport, Shane Ross, and the decision of his department to bring this legislation forward to the Dáil. Minister Ross decided to act after the request of Noel Clancy, who had lost his wife and daughter in a car crash due to an unaccompanied learner driver. The case of Geraldine and Louise Clancy shocked the nation with the tragedy of its nature. This has been one of the many fatal accidents that have occurred over the past number of years. Between 2012 and 2016 there were forty-two fatal collisions due to learner drivers. 8-year-old Zoe Scannell from Limerick was killed back in 2014 when a learner driver failed to maintain control of his car. While many have deemed this new legislation too harsh and unfair, from the statistics it’s clear that something needs to be done to eradicate this problem. On a Spin1038 talk, several listeners strongly disagreed with this as some people had no fully-licensed driver in their family. Some people spoke about how sometimes driving with a non-instructor can make them more anxious. Some listeners claimed that they held a provisional license for nearly 14 years. To have a driver who has clearly failed their test a number times can be fatally dangerous out on roads. The legislation that Minister Ross is trying to legislate is needed in this country but not necessarily in the way he is executing it. It would be ignorant of me not to address the fact there is a huge stigma surrounding learner drivers. As a learner driver myself, I have had several encounters with drivers who exhibited nothing short of impatience and compassion. Bear in mind- my parents don’t let me drive the car without one of them there. However, the true information and facts surrounding deaths caused by learner drivers need to be made clear. The numbers of deaths are staggering and the government need to think of an effective way to fix this issue, in a way which isn’t so harsh. The problem begins with how driving is being taught. Twelve lessons aren’t enough to fully equip a person with the rules of the road and a good road sense. The government needs to change and update the learner driver system. If they don’t, the situation will only continue to worsen.